Definition at line 144 of file BinaryPointerDetection.h. Definition at line 145 of file BinaryPointerDetection.h. Width of pointer in bits. 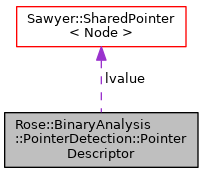 Definition at line 146 of file BinaryPointerDetection.h.